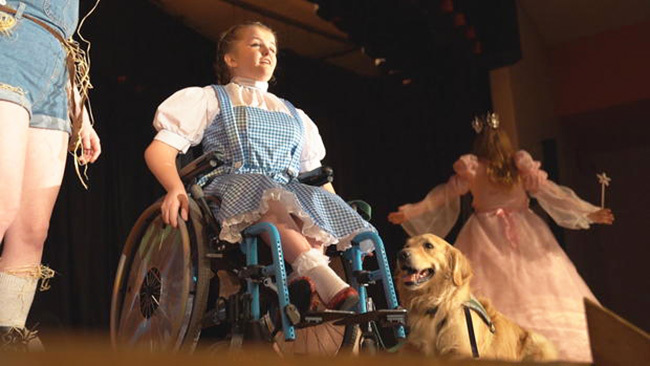 High School Teen Stars In 'Wizard Of Oz' - And Her Little Dog, Too! Erin Bischoff never expected to land the lead role in her high school's production of "The Wizard Of Oz." So, the school rewrote some of the play just for Gauge - since he was a little larger than the basket-fitting version of Toto. But Erin's mom, Michelle, always saw her daughter as a star. "She makes me a better person," Michelle said, adding "the only limits you set are the one you set upon yourself."